Weighing in at 1.8kg, it is just about slim and portable enough for frequent travel use. At 181 minutes, battery life is very disappointing, however, and is vastly bettered by most rivals at this price. The chassis carries Lenovo's renowned build quality, with resilient scratch-resistant plastics used throughout, although we did notice some minor flex above the keyboard. The retro 1980s design is common of ThinkPad machines and is one that you'll either love or hate. Where ThinkPads really excel is in their usability. The keyboard is truly stunning, with a smooth and responsive typing action rivalled by few laptops. A choice of a touchpad and pointing stick are also in place for controlling onscreen actions. This machine is well-suited to entertainment and desktop use. The 14.1-inch screen is good and bright, so while the matt-TFT finish eliminates reflections, images pop off the screen with stunning vibrancy. Another area that this machine stands out from the crowd is its capacious storage. The 250GB hard drive will easily hold your business files, as well as thousands of photos, movies and MP3s. An integrated DVD rewriter is also in place. Performance is excellent. The Intel Core i5 520M processor matches the CULV Core i7-powered Fujitsu and ably dispatches most tasks with ease. Even frequent multi-tasking is possible and we found we were able to smoothly work with multiple business and media applications open. Graphics are equally capable and better all but the Sony VAIO VPC-Z11Z9E/B. The integrated Intel GPU delivers enough power for complex business presentations and regular photo and video editing. High-definition video and even less demanding games run with ease. Finally, adding usability missing from many laptops, Lenovo's ThinkVantage software makes it easy for even the most inexperienced users to configure advanced system set-up and maintenance tasks. This alone is sure to be a key selling point for many less tech-savvy first-time buyers. 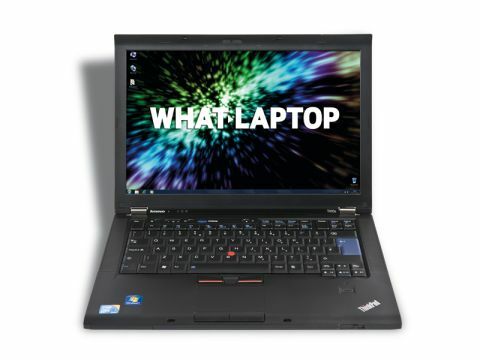 By combining Lenovo's market-leading quality and usability with a stunning screen and ample power, the ThinkPad T410s is a great business laptop. Against its rivals, however, its limited mobility is slightly disappointing.